With the new year, I’ve been looking over my platform and trying to decide what things need to look like moving forward. I want to be in this business for the long-haul, and that means that I need to look the professional I want to be. They always say “dress for the job you want” right? And since I can’t logically show up for my job as a nanny dressed as Strider (Even if I am dragging halflings around all day) I will have to settle with making my business look a bit spiffier. So here are a few changes you can look forward to in the new year. This is kind of an overall thing, but will mostly deal with my website, tag line, and social media headers. While I like the meaning behind “Exploratory Fiction” and will probably continue to use that as I think it fits the heart behind my writing, I want to play around with the look. I feel like my current website and header just isn’t very striking. I’ve learned a lot about writing good newsletters in this last year, and I feel like I need to start implementing some of that. My current newsletter is haphazard, poorly designed, and hard to read. You never know what you expect and often I ramble on about unnecessary things in an attempt to calm my nerves. Yes, I get nervous every time. And as great as my subscribers are, I know I can make it a bit easier on them . So I’m going to be bringing in some organization. As part of the reorganization of my newsletter I want to start sending out bits of one of my current WIPs (works in progress for the non-jargon speaker). I have a Urban Fantasy set in an alternative version of 1920’s New York where prohibition is the regulation of magic potions, in place of alcohol. With magic-wielding gangs, a twelve-year-old necromancer, and a cat-like creature that guards the division of the living and dead, this novel is going to be a blast! It will be rough, when I send it out. Part of my reason for doing so is because I want to bring you all along for the journey. And that means that you will get a say in how the whole book turns out. And when it’s all finished and polished, I’m going to be submitting this book for publication. Maybe we can make it together! This one scares me, but I also really want to do it. Partially in response to some critiques about the typos in my works, partially because I noticed it myself (and partially because of a secret project that we are not talking about right now) I will be going over Malfunction and The Raventree Society Season One, in the new year in an effort to clean out some of the typos and grammar/spelling mistakes. I don’t think they will ever be perfect, but I know I can do better. So keep an eye out for newly polished versions. Season two of The Raventree Society is already written and I will be starting the process of editing before long here. The releases will fall on the same schedule as in 2018, with an episode every other month starting in January with the release of the full season in October. Book three of The Malfunction Trilogy is my biggest focus this year. I will be working hard to rewrite, polish, and release the final book. You might see a few other things from the series popping up. I have a few plans that may or may not come to fruition. I won’t divulge those at the moment, though my newsletter subscribers will be the ones getting that information first. In the meantime, Connection’s release is set for fall of 2019. 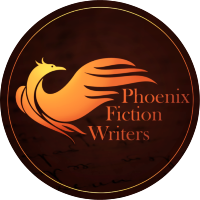 For those who don’t know, PFW, or Phoenix Fiction Writers, is a marketing collective I’m part of. This group of writers are amazing and uplifting in multiple ways .Recently we put out an anthology of short stories titled “Antiheroes”. I will still be working closely with PFW through 2019, and I can’t wait for all the amazing new things we have in store. I volunteer as the Acquisitions Editor and the newsletter coordinator. If you want to know more about what the next year will look like at PFW, be sure to sign up for the newsletter and follow along with the social media and blog. As always, things will change through the year as I get things done and plans change. I have a few projects I’m going to be working hard on and announcing a little bit closer to their implementation, so as always, be sure to keep an eye on my newsletter and social media. It might be an exciting year!